Facials Nails Hair Ears - Karsa Spa. Are you ready for a REAL massage?! Cleanse and exfoliate with carrot and yoghurt combinations, followed by a delicious warm honey massage. Next an organic mask is applied, containing sacred volcanic clay. Slices of cucumber are laid over your eyes so you can drift away and enjoy a hand and foot massage whilst your mask does its work. Finally we apply a natural moisturiser. Your skin feels soft, refreshed and alive. 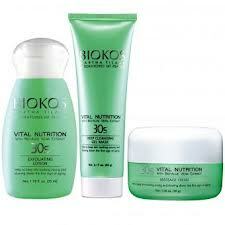 Biokos is a range of Indonesian pharmaceutical facial products. Not completely organic, but do a fantastic job of cleansing, exfoliating, toning and moisturising your face. And they smell great. Your choice of our aloe vera or seaweed range. After a warm hand bath and soak your therapist will cleanse, trim, shape, buff and beautify your nails and cuticles. 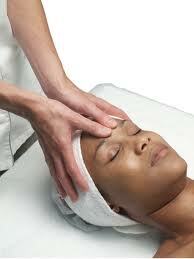 Polish of your choice is applied and you are indulged with a delicious arm and hand acupressure massage. Be assured that all our manicure and pedicure tools are sanitised between customers. looking and feeling healthy. Your treatment includes a foot reflexology massage to relieve exhausted feet and is a divine way to chill out after trekking the ridge or shopping in Ubud all day. We begin with a foot scrub, then get down to the business of gently removing dry skin and callouses before trimming and shaping your nails. We then apply colour of your choice, but be warned: coloured toes attract faeries! Ear candling involves inserting a long, cylindrical candle into the ear and lighting it on the other end. Heat produced from the candle helps draw out excess ear wax and other debris which may be present in the ear canal. Benefits of ear candling may include relieving tinnitus (ringing in the ears), helping to relieve sinus pain and pressure, removing excess wax build up, assisting with relieving Swimmers` ear, assisting with headaches, relieving severely itchy ears (often caused by yeast, mould or dairy allergies) and helping to unplug ears. Other potential benefits may include improved lymphatic fluid flow through the body, improved colour perception, a more balanced emotional state and clearer thinking.